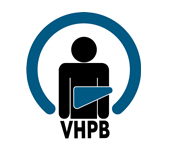 The Hepatitis B and C Public Policy Association aims to urge and facilitate the formulation of public policies at international and national level for the communication, prevention and management of viral hepatitis B and C. To further this aim, the Association works in partnership with major stakeholders, including patients, clinicians, public health and civil society communities, regulators and the private sector. The Hepatitis B and C Public Policy High Level Meeting brings together these stakeholders to discuss recent policy developments and agree on urgent priorities for action to tackle the public health, economic and social impact of hepatitis B and C.
Urges EU Member States to address barriers to, and invest in, the sustainable, evidence-based funding of prevention, diagnosis and treatment of hepatitis B and C through coordinated national action plans as an urgent public health priority, notwithstanding the fiscal constraints and the persisting economic crisis. Educate the general population, policy makers, health care workers and key populations on hepatitis B and C.
Integrate surveillance indicators and strengthen national surveillance programs to measure hepatitis B and C and liver disease and inform on disease burden. Define, measure and publicise indicators related to the economic impact of hepatitis B and C and its treatment on national health systems to support evidence-based decision making and investment. Develop national action plans to tackle hepatitis B and C on the basis of validated country data (also through integrated patient registries). Measure the impact of interventions (outcomes and cost) to optimise future planning and resource allocation. Achieve and maintain high coverage of universal, cost-effective neo-natal HBV vaccination (birth dose and primary immunization series). Scale up HBV vaccination of healthcare workers and other high risk groups. Scale up evidence-based harm reduction responses, including in prison settings, and access to HBV and HCV treatment for People Who Inject Drugs (PWID). Institute and sustain effective blood safety and the implementation of healthcare infection prevention and control measures. Develop testing and diagnosis protocols and guidelines and increase access to accurate, reliable, high – quality and affordable diagnostic tools including taking advantage of those programs developed for HIV diagnosis. Develop and implement screening programmes for all high-risk groups. Train health practitioners (particularly primary health care and nurses) to screen for those patients at high risk of hepatitis B and C and to test, diagnose, monitor and link them to care. Integrate care provision in general health services to develop networks to streamline access processes and effectively manage comorbidities to improve compliance to, and retention in, treatment. Develop, update and communicate treatment guidelines and adequately train and support prescribing physicians on how to use them. Ensure swift access to and sustainable funding for appropriate, safer, easier to administer and more effective, new medicines, particularly for hepatitis C, through active negotiation between member states and the pharmaceutical industry. Educate viral hepatitis patients on their rights and support patient advocacy and participation. Minimise communication barriers relative to native and spoken language(s) of high risk groups and communicate to overcome cultural beliefs and values that may impact on patient options. 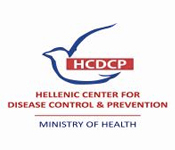 Encourage vulnerable groups to participate in screening, early detection and diagnosis programs. Link vulnerable groups to care and ensure non-stigmatising treatment is available to all, including, most critically, those outside the social insurance network. Educate health workers, policy makers, the general population and the media on how to overcome stigma against people living with or at risk of viral hepatitis. 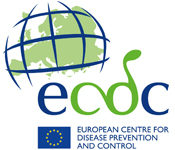 Cooperate on policies alternative to criminalisation for people living with or at risk of viral hepatitis.